Cleaning agent for cleaning printing blankets and rollers in sheet-fed presses. 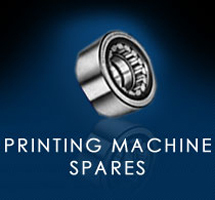 Particularly suitable for use in automatic roller and blanket washing units. We recommend setting the washing system to optimise the cleaning cycle and Bottcherin Solano performance. In case of manual cleaning, use Bottcherin Solano undiluted or mixed with water. Apply the wash to the blanket or roller, then finally rinse with water until all ink and cleaning agent residues have been removed. Bottcherin Solano meets the test criteria of the machine manufacturers.